Ultron is defeated. Two Avengers stand in a victory pose over the villain . Please list them in the comments. What character would you like to see on the blog? 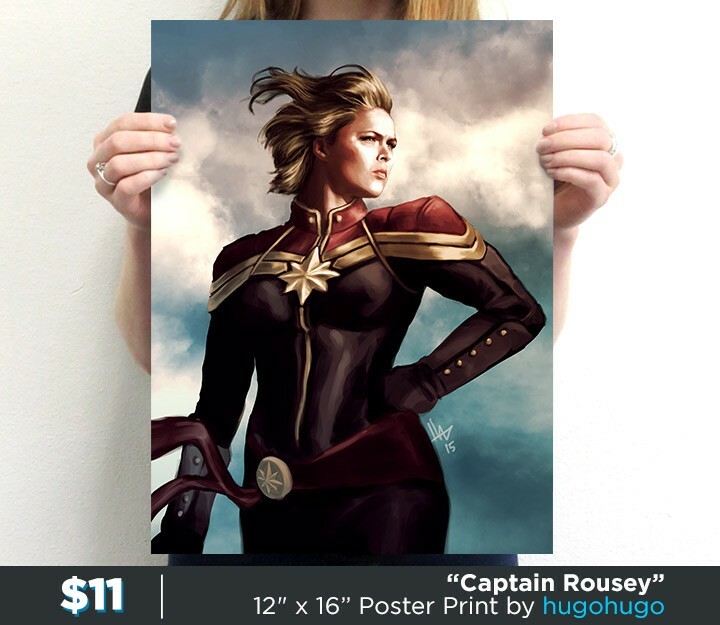 Tee fury has an awesome new poster Captain Rousey. It feature Ronda Rousey in Captain Marvel’s uniform. In an interview she said she’d love to play the character. So Fan made some fan art and this is one of them. Emily Blunt is currently rumored to be favored for the part. Ronda Rousey to the rescue! In case you haven’t heard, the UFC women’s bantamweight champion participated in a Reddit AMA last week and confessed that she’d love to join the Marvel Universe. When asked which Marvel character she’d love to play, Rousey, 28, replied, “A lot of the good ones have been taken, but I’d like to vie for Miss Marvel.” Strong choice, as the Captain Marvel movie—the studio’s first female-led superhero movie—has already been set for a November 2018 release. Here’s another use of the LEGO Valentines set. 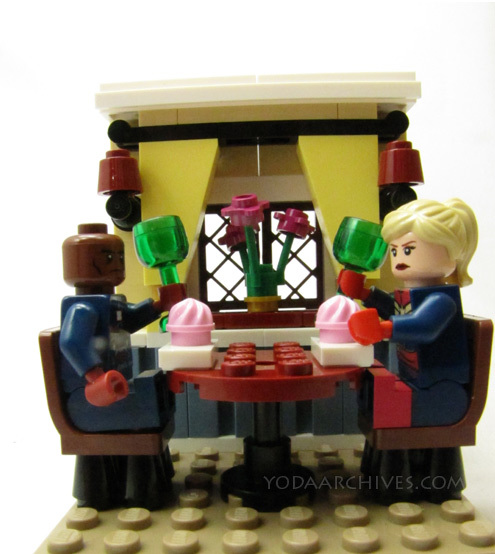 Captain Marvel and James Rhodes on a date. I like this set and will reuse it. I just thought of a reuse on one of the parts for another image. 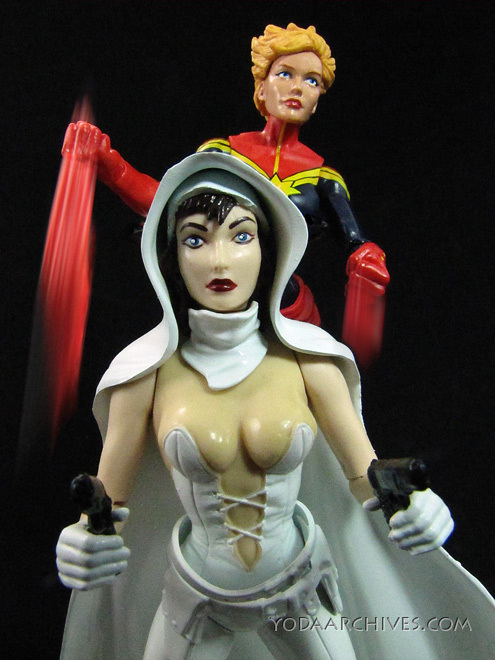 Captain Marvel infinite series and Ghost action figures. Happy Valentines day! I know it’s a day early and it’s Friday the thirteenth so this is about as close as we’ll get to replacing Feb 14 with second Halloween. 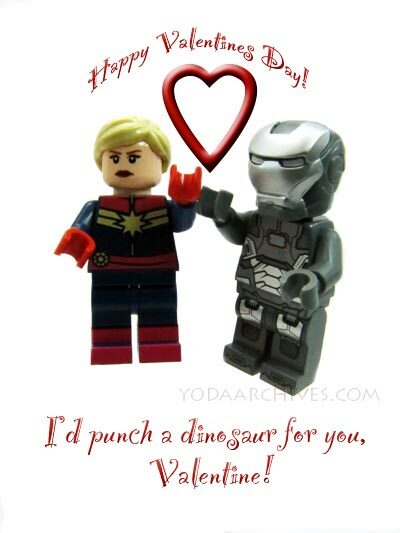 February 13, 2015 | Categories: LEGO, Super Hereos | Tags: Captain Marvel, carol corps, holidays, LEGO, valentines card, valentines day, war machine | Comments Off on Happy Valentines Day! 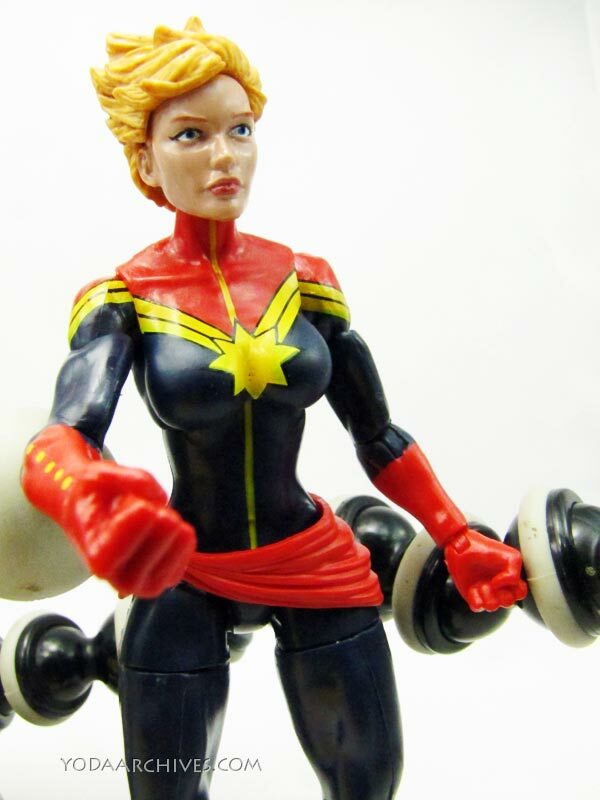 In stores at last the Captain Marvel action figure. Her accessories are an alternate masked head and a power blast. The figure looks great but could really use a stand. 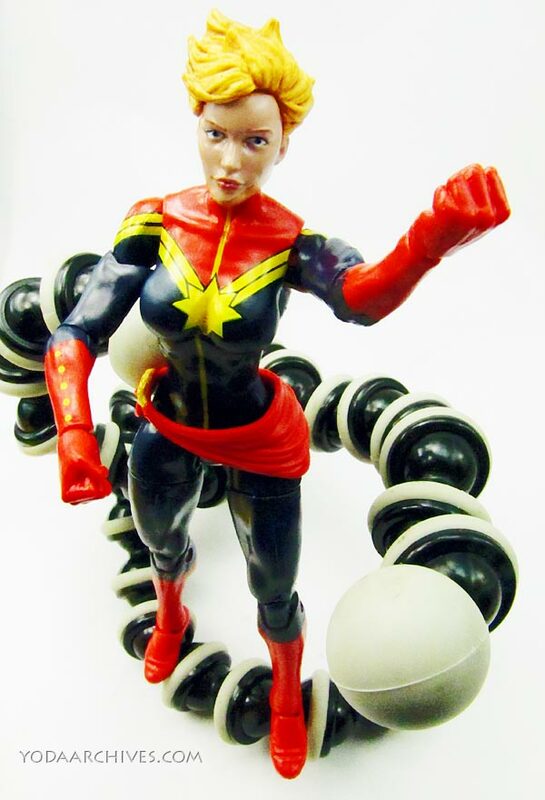 She is from the Marvel Infinite series six-inch action figure line. This build a figure(s) for this series are Odin or King Thor. The difference between Odin and King Thor are the head and arms. Odin’s head, spear, and cape are included with the Scarlet Witch figure. His arms are packed with Sentry. 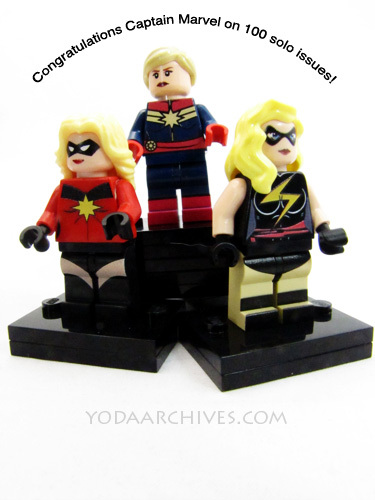 Thor’s head, axe and cape are packed with Captain Marvel. His arms are packed with Machine Man. The figure retail for around $20. I’ve only seen the Odin series at Target and Wal-mart so far. But Wal-greens and Toys R us also carries the six-inch Marvel line. Toys R Us charges $21. Avoid the scalpers I’ve seen these listed for $40 online.